Ian is a raconteur. His songs tell stories, either from his own experiences, observations of those around him or stories from his Irish heritage. Opening track Joseph is an example of the latter, telling the tale of Joseph Plunkett, one of the leaders of the Irish Uprising back in 1916. It tells the tale of his wedding to his sweetheart Grace Gifford the day before his execution from her viewpoint. It's explicit in the way it explores the human side of the story - "I'm thinking Joe about the children we won't ever get to have, as you stride out there in the morning to leap into the great unknown." Political and social commentary isn't far from the surface throughout the album. All The Royal Houses takes aim at the privileged few dreaming of a day when "Highgrove House will be for hire, Sandringham will be on fire, Balmoral will be all mine" and drops down at the end to refer to the practice that seeks to "move the homeless, for flag weavers." The album's closing track is dedicated to Ned Maddrell, the last native speaker of Gaelic Manx, whilst Rebel Girl talks of a girl called Rosie (we assume his daughter here), born in the North West and a bloodline through the South West of Ireland, and the optimism that youth exudes. 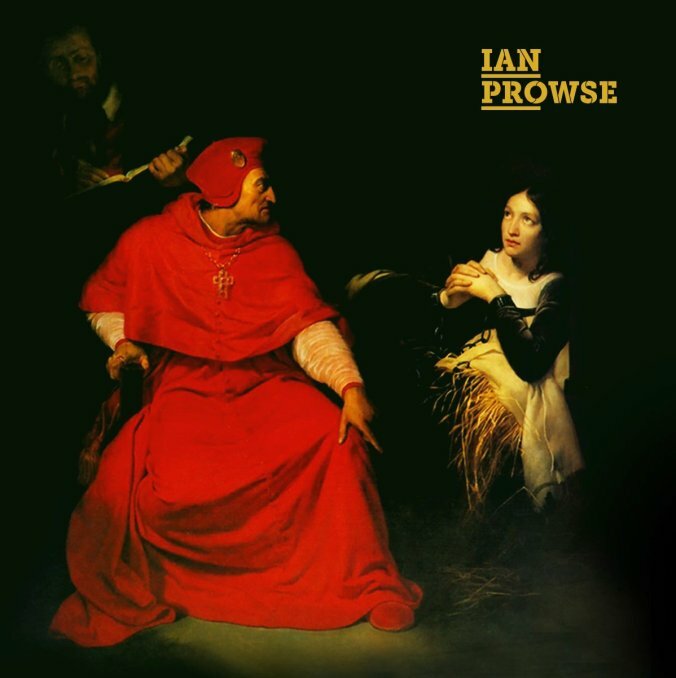 It's a rare knack to be able to move from the intensely personal to the wide-reaching yet Ian manages it with seeming ease across the record. We Ride At Dawn feels like an anthem for picking yourself up after disappointment and going again, ignoring those that seek to put you down, moving on from the things that you cling to like the hospital you were born in, the school you grew up and the youth club where you learned the rest that's referred to in the opening chorus. Something's Changed seeks to get behind the emotional chaos of a friend, offering a shoulder to lean on as well as dispensing a bout of reality - "you know that you are such a fool, why don't we talk it through, we got a lot to lose" - with a balance that most songwriters find it hard to craft. Getting up and dusting yourself down is a theme on the personal side of the record. The album's title track, the simplest track of the eleven musically, lays bare that "there's troubles going round in your head, share them with me love", a very important message in these days where people can be afraid of expressing feelings, bottling them in with often tragic consequences. It's a message that returns on Ten Second Journey which bursts into life with strings urging the song's subject to "get up, get out of bed, drag that comb across your head" rather than wallowing in self-pity. Musically there's a real diversity of styles at play here with seventeen musicians playing a list of instruments that reads strings, piano, organs, trumpet, a range of acoustic and electric guitars, accordion, glockenspiel, mandolin, fiddle, flute and whistle, taking in folk, country, rock and some intense almost spoken-word eulogies along the way, whilst Ian's voice changes range and tone throughout depending on the message he's trying to impart. That and the clever choice of song order means that the listener is taken on a winding journey across a record that never settles into a groove and feels much stronger for that restlessness and edge. There might be those who turn up and want Ian to play songs from his past on a loop, particularly that one about trains, but switch it off and listen to his new material and you'll get something with the same depth, empathy and richness, sung with heart and emotional intelligence as well as a deep interest in and detailed knowledge of social and political history that goes beyond a geographical connection. The publishers, agents, managers and promoters he swipes at in We Ride At Dawn might ignore him, but Here I Lie will tell you that he's writing music that matters to him and talking about subjects of great importance to him that will connect to those who want their record collection to teach them something and resonate. Ian Prowse (and Amsterdam) can be found on Facebook, Twitter and the album can be bought from his official site. He tours the album at Perth Green Rooms (May 4), Newcastle O2 Academy (10), Manchester Academy 3 (17), Wolverhampton Slade Rooms (18), London 100 Club (June 1), Acoustic Festival Of Britain (2), Leeds Brudenell Social Club (8), Liverpool Philharmonic Music Room (July 26 / 27), Bristol Thunderbolt (September 20), Portsmouth Wedgewood Rooms (21), Chester Telford's Warehouse (October 17), Nottingham Bodega (19), Glasgow Admiral (November 30) and Liverpool O2 Academy (December 14).